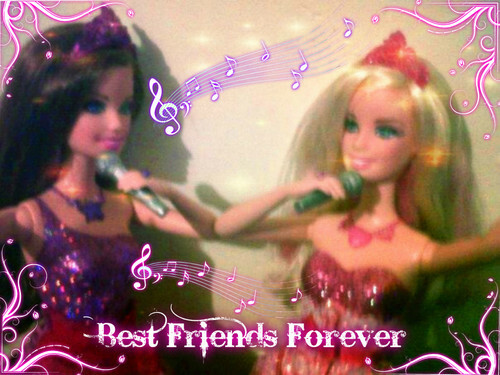 melhores amigos para sempre. . HD Wallpaper and background images in the Barbie A Princesa e a Popstar club tagged: barbie princess and the popstar keira tori doll. This Barbie A Princesa e a Popstar fan art might contain show, concerto, retrato, headshot, close up, and closeup.